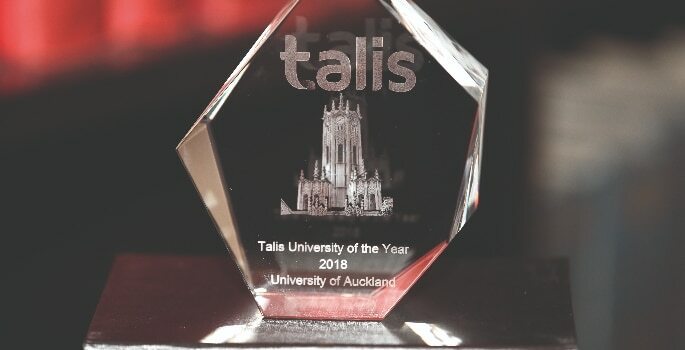 The Talis Awards are held at Talis Insight Europe each year, and celebrate successes amongst the global community of 100 universities that use Talis Aspire to manage their online reading lists and copyright management. 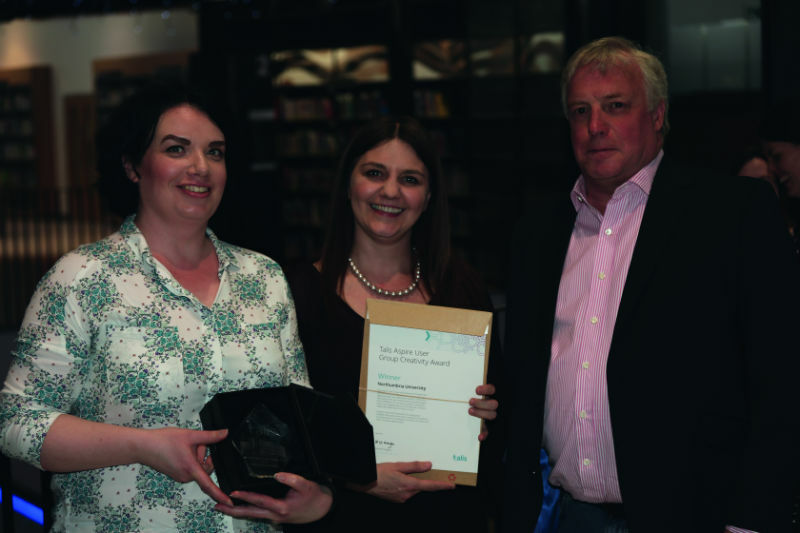 The fourth annual Talis Insight Europe took place in Birmingham this year, with the awards falling on the evening of day one of the conference, in the Library of Birmingham’s stunning book rotunda. There are four award categories, one of which is nominated and selected by the Talis Aspire User Group (TAUG) community. The TAUG award is for creativity and is awarded to a university that has shown innovative thinking in their projects around promoting Talis Aspire. This year, the award went to Northumbria University for their dashboard initiative. This project showcased the top statistics in Talis Aspire using reporting tools and creative design. Rebecca Naughten, Reading Lists Assistant at Northumbria University (below), said: “Higher education is increasingly making use of data analytics to inform a variety of strategic planning, and to demonstrate the positive impact, growth, and value of services – as acknowledged by Talis’s development plans for enhanced analytics. It is gratifying to receive recognition from the user community for the work that we have invested in our analytics dashboard, and we appreciated the chance to share what we had done.